Last Friday, Rob and I had booked the day off work to go on a little road trip. 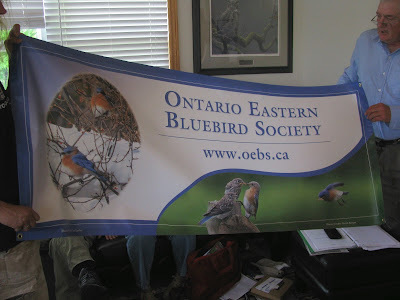 We were to attend an Ontario Eastern Bluebird Society meeting/potluck in Port Rowan. 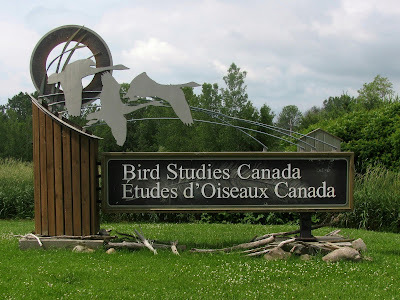 This meeting also gave us an opportunity to visit the Bird Studies Canada offices, and for Rob to meet some people he's been emailing with for years, regarding the various projects we participate in, like Project Feeder Watch. We were pretty excited to visit the Bird Studies Canada building and meet Rob's email buddies. We were also given a tour, inside with Kerrie Wilcox and outside with Jody Allair . We even had a lifer bird, with a Forster's Tern during our walk! 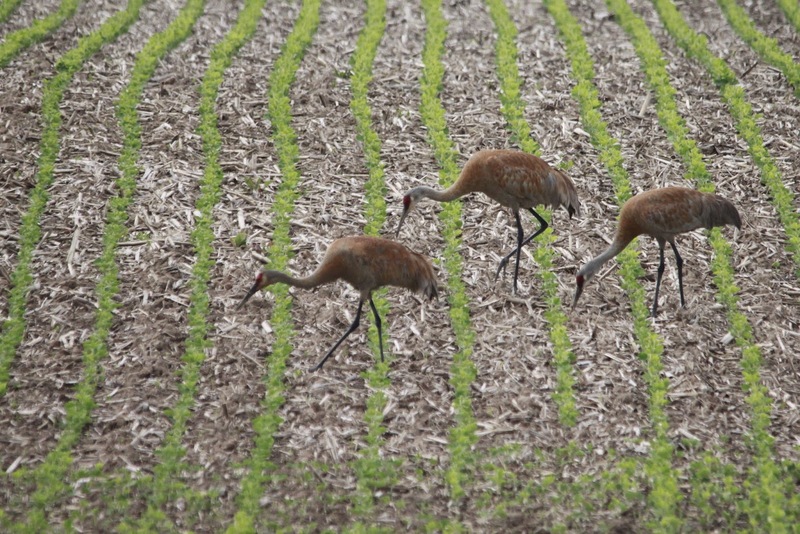 I would have a hard time getting any work done if I worked there, too many birding distractions with all the amazing views from the offices. 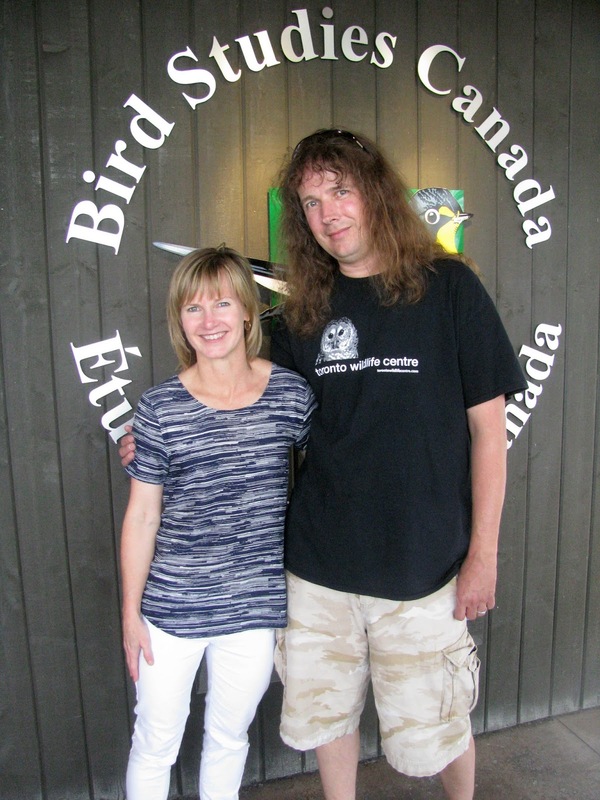 Kerrie and Rob finally get to talk face to face after years of emailing! After a great visit we made our way to the meeting, but got side tracked by some Sandhill Cranes. 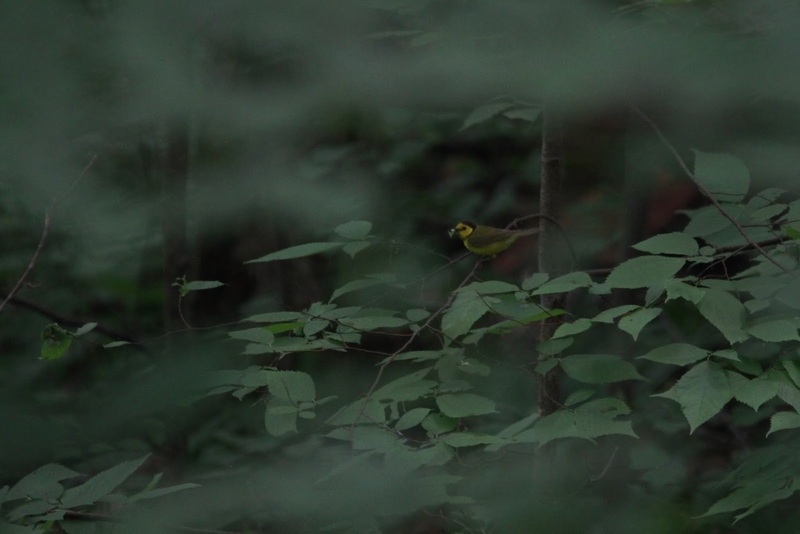 We don't see these birds very often. We enjoyed some lively conversation and delicious food at the Ontario Eastern Bluebird Society meeting. Bill shows off the new banner. 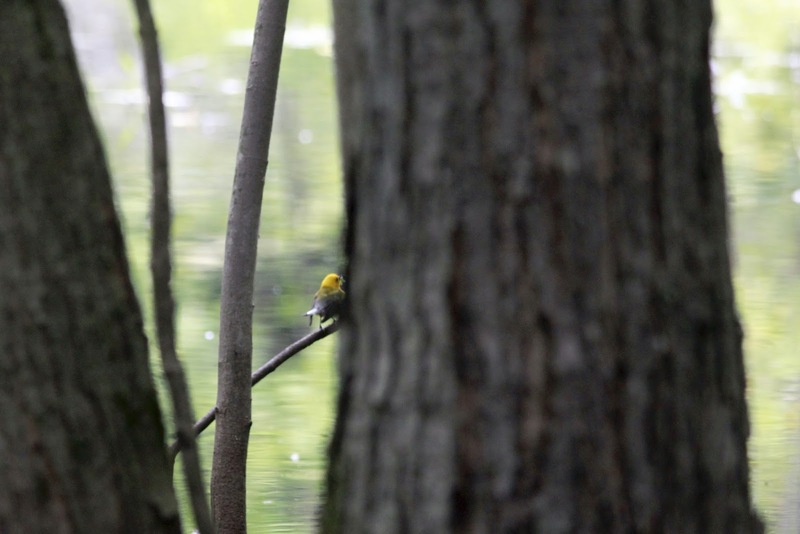 After lunch we headed off to a nearby area where both Hooded and Prothonotary Warblers nest. 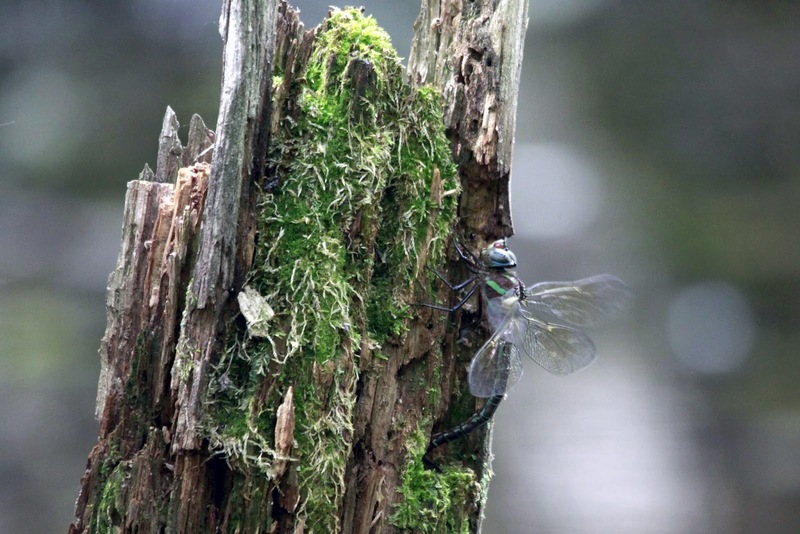 We saw both! 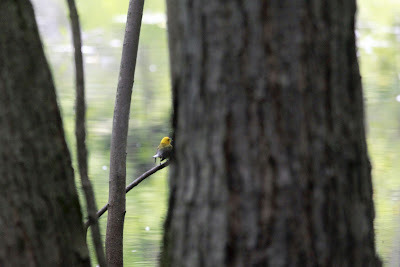 A Prothonotary Warbler busy catching bugs to feed young. 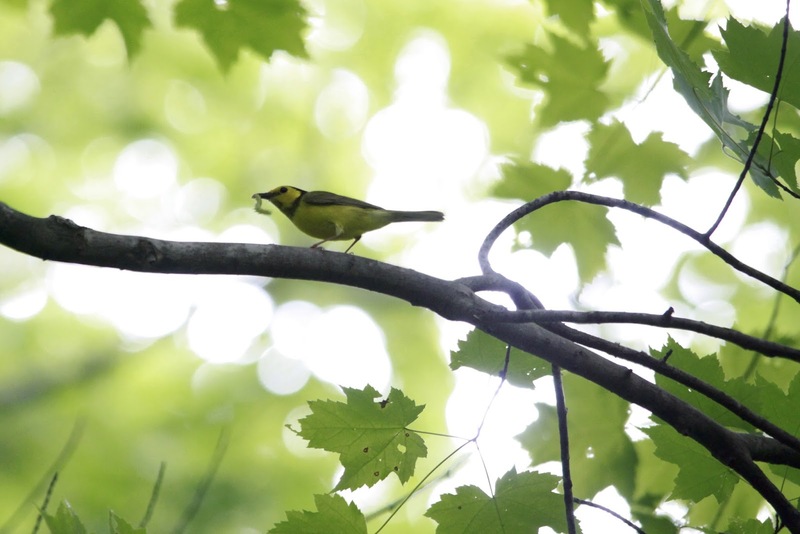 This was only the second time I had seen a Hooded Warbler. It was also my first Canadian Hooded Warbler, as my lifer was in the USA. 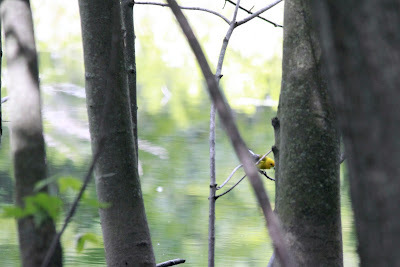 Another shot of a Prothonotary Warbler, we saw four. We also saw a few other interesting critters while in the woods. 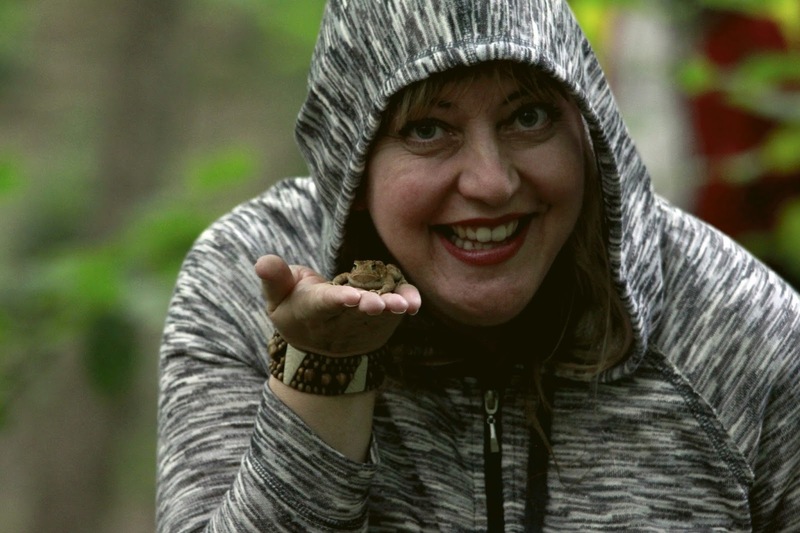 If I kiss him will he turn into a Prince?